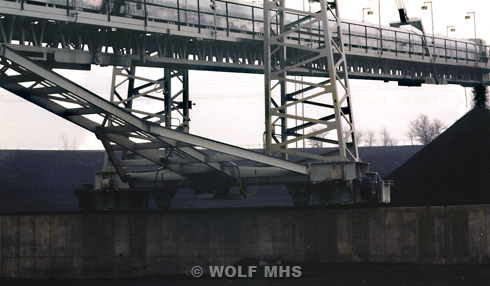 Wolf Material Handling Systems provides complete engineered systems and equipment to the power generation industry. Wolf is able to take complete design and supply responsibility from rail car unloading, truck dumping, screening, sizing, crushing, storage, reclaim, conveying to boiler feed, and metering bins. Wolf’s equipment design for the Power Generation industry is utility grade. Wolf will optimize your system for performance and minimize parasitic horsepower. Wolf offers a Performance Guarantee on each system design.